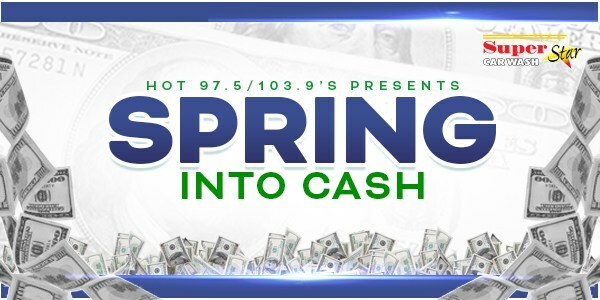 Hot 97.5/103.9 is helping you Spring Into Cash! Hot 97.5/103.9 is giving you 13 chances a day to win $1,000. All brought to you by Super Star Car Wash. Listen for the keyword at 40 after the hour each hour from 6am to 6pm then text that keyword to 88474 for your chance to win.